Create a solid financial strategy that inspires confidence and security in your financial future and start achieving your biggest goals and dreams! Jay Geier reveals to you a UNIQUE step-by-step exact incremental blueprint to follow that fits perfectly with YOUR practice and YOUR current financial state. Whether you’re “just a little” off your financial goals or you’re a “catastrophic” story… it doesn’t matter. The only way to attain the financial autonomy you desire is by employing these specific strategic behaviors Jay has learned from 20+ years in the trenches, intimately working side by side with dentists from all walks of life in every financial situation you could possibly imagine. After years of working directly with dentists to help grow their practices and attain complete financial autonomy, Jay Geier has seen just about EVERYTHING you could imagine. Doctors sleeping in their cars, making payments on 12 different cars, having 3 mistresses, multiple bankruptcies, criminal IRS charges, 5 divorces, etc… you name it he’s seen it. But the good news is this… in all the BAD things he’s seen happen to dentists when it comes to money… there are VERY SPECIFIC behaviors EVERY successful, financially independent, HAPPY dentist follows. And there’s NO good reason why you can’t follow them too. 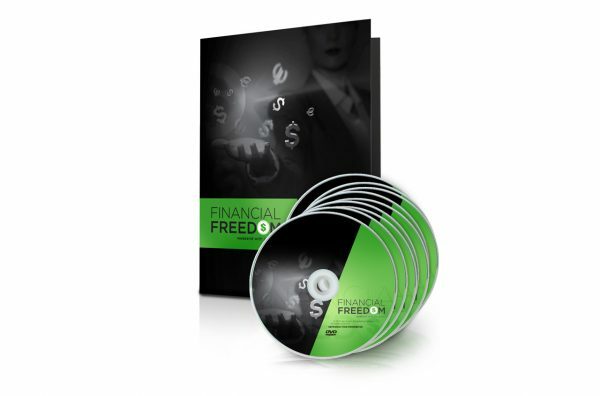 Jay Geier reveals them all during The Financial Freedom Weekend! Learning how to pay off debts, accumulate wealth and increase your Net Worth! With Jay Geier’s Debt Elimination and Wealth Accumulation Formula, you and your significant other will be on the same page financially and will be capable of paying off debts without being stressed day after day. You will learn how to track results and know where you stand financially on a daily, weekly, monthly and annual basis. Not only will you understand HOW to crunch the numbers to set deadlines and goals, but you’ll also gain a full understanding of how much assets ACTUALLY cost (real cost + opportunity cost) so that you can be a smart buyer in the long-run! We are so glad we took Jay’s advice! We now have two commercial buildings, our home, and an investment property. Our net worth has grown by 37% in the last 2 years – but the best part is, it continues to grow! Rather than just hoping that I knew how I was doing month to month, I now know how far away my goals are and exactly what I have to do to get there. We used to focus on ‘hard work’ necessary to make money, therefore we hoarded all the we received. The practice and our personal lives now see a more relaxed flow of money. We no longer worry or stress about what is to come.